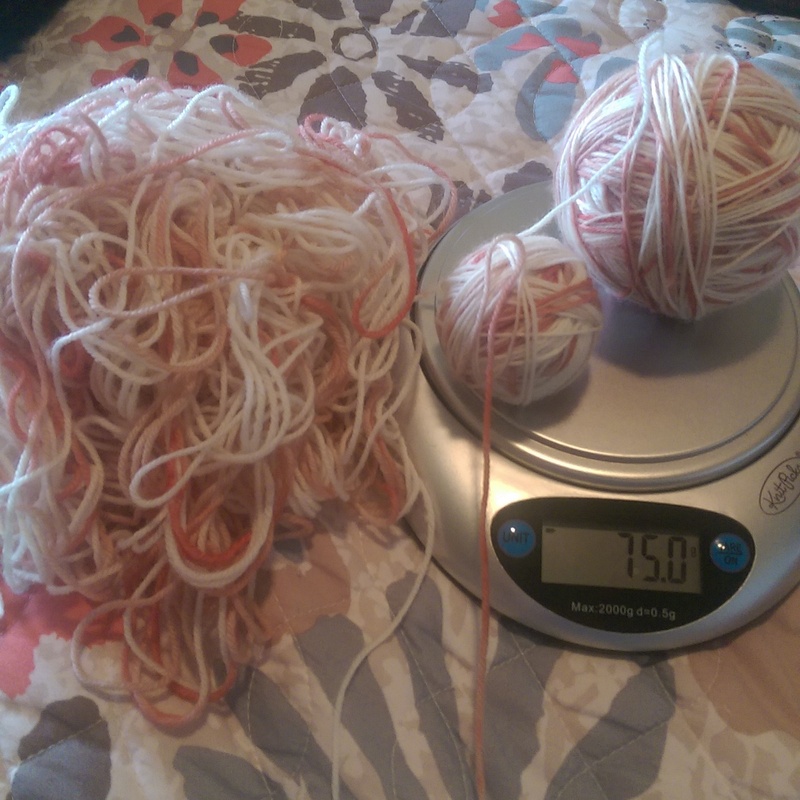 A few years ago, I tried my hand at dyeing yarn. It was so much fun and I loved it. However, a few months later and we moved into a tiny apartment with an even tinier kitchen, and so I sent the dye pots to storage. We have not dug them out again yet, but I have been anxious to try dyeing again. This spring I am also participating in a group on Ravelry called The Harry Potter Knit and Crochet House Cup. It is a group that offers challenges and motivation to finish projects by posting “classes” and prompts. One of the classes this semester is Potions and it gave me the perfect chance to try dyeing again. 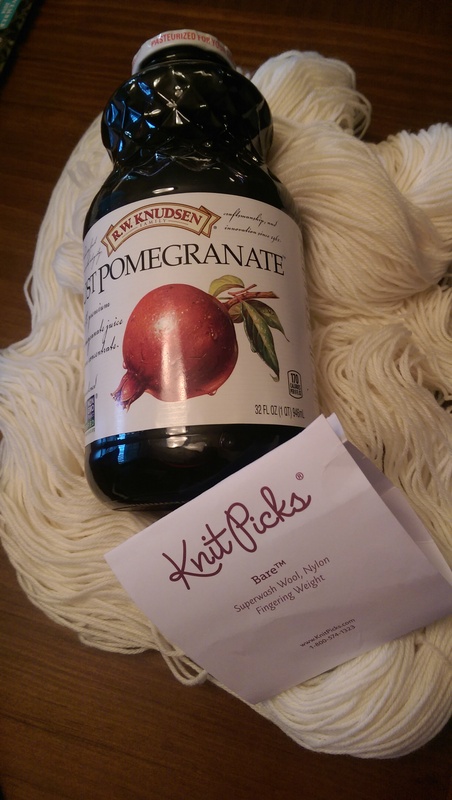 In the spirit of the prompt, I decided to take some white yarn and dye part of it with pomegranate juice. 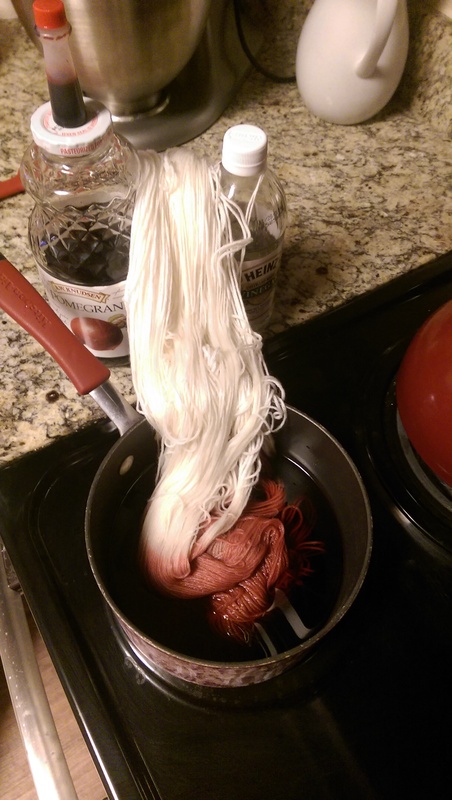 After the yarn soaked in vinegar and water I put less than half the yarn in with pomegranate juice on the stove. I loved the way the color was taking. I did, however, want some variation in the reds. 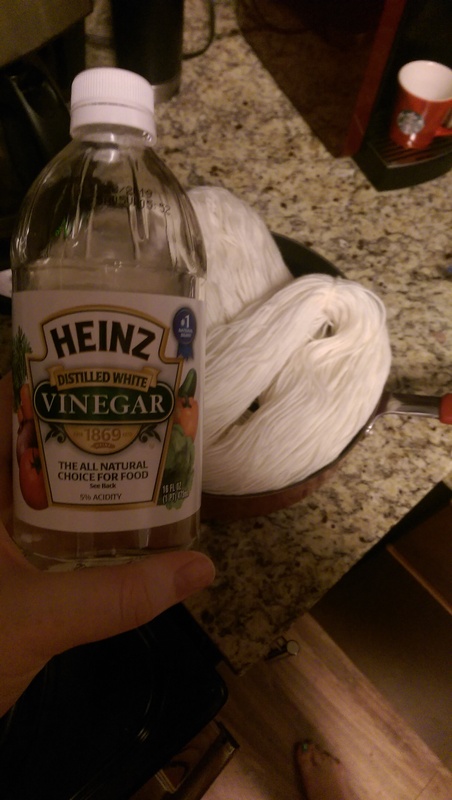 To that end, I added a few drops of red food coloring. I dropped four drops right on top of the water, and without stirring or disturbing it, let it settle just on that fiber it touched. Once done, I gave it a good rinse, and was pleased with it, so I hung it dry. There, was however, on teeny, tiny itsy, bitsy problem. 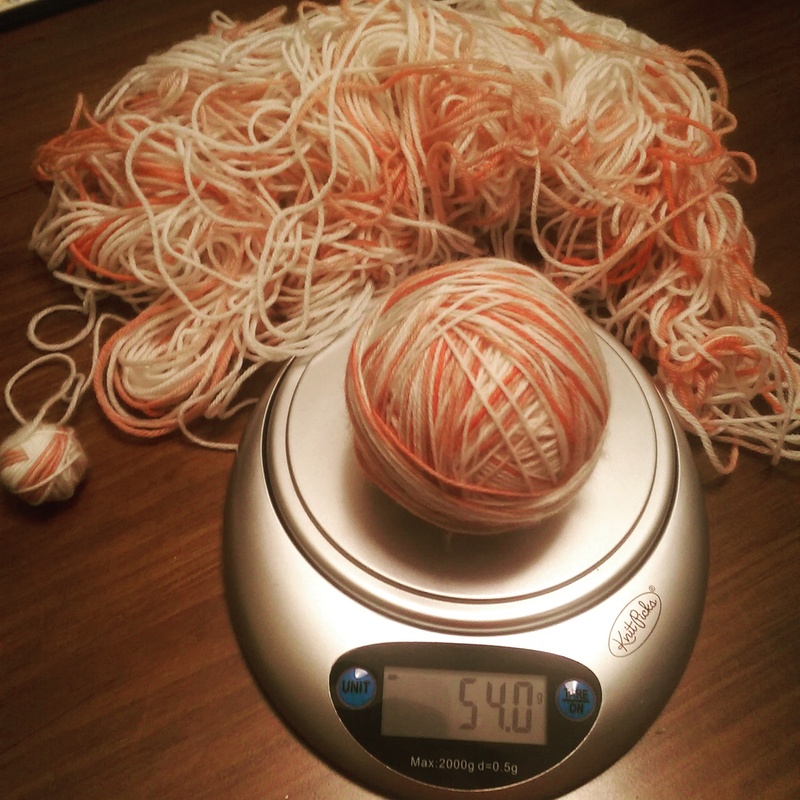 The ties that the skein was originally secured with came loose in the rinse, and by the time it was dry and I was ready to skein it, there was a storm brewing. 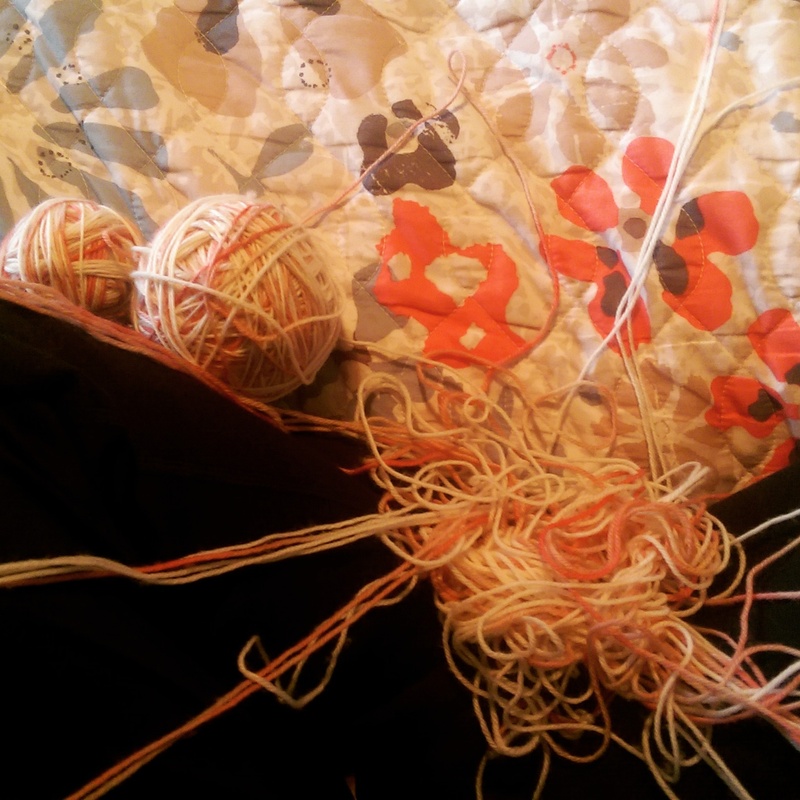 A huge tangle was headed my way. 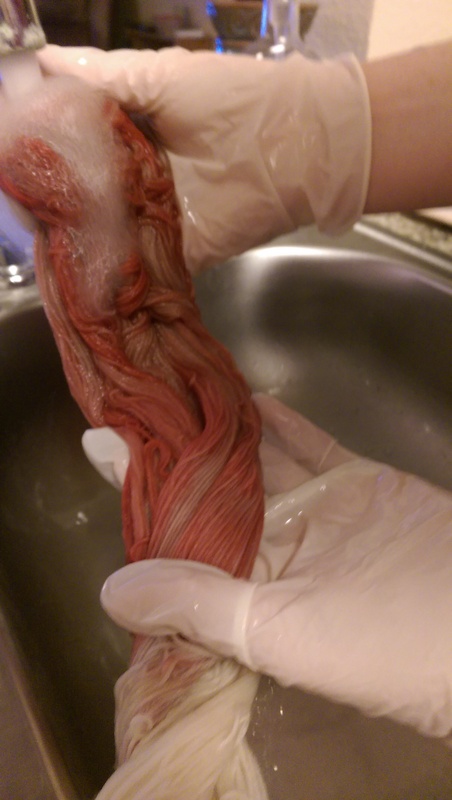 Once it happened I remembered being warned about this by experienced dyers, but alas, I totally forgot. 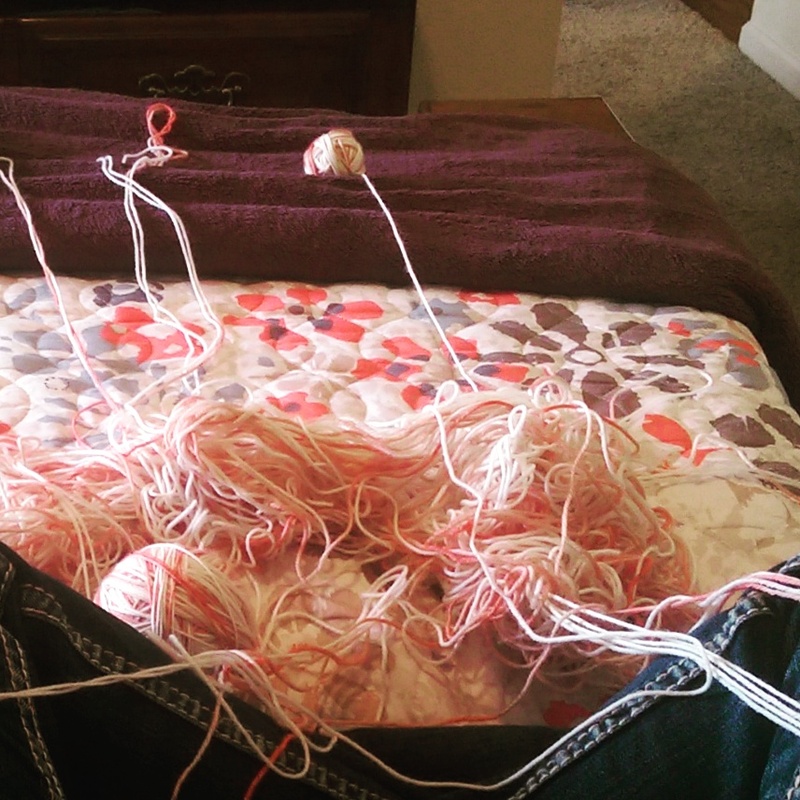 Twelve, yes twelve, hours of slow untangling later, the yarn was just like I had hoped it would be. It was a long few days, but worth the work. 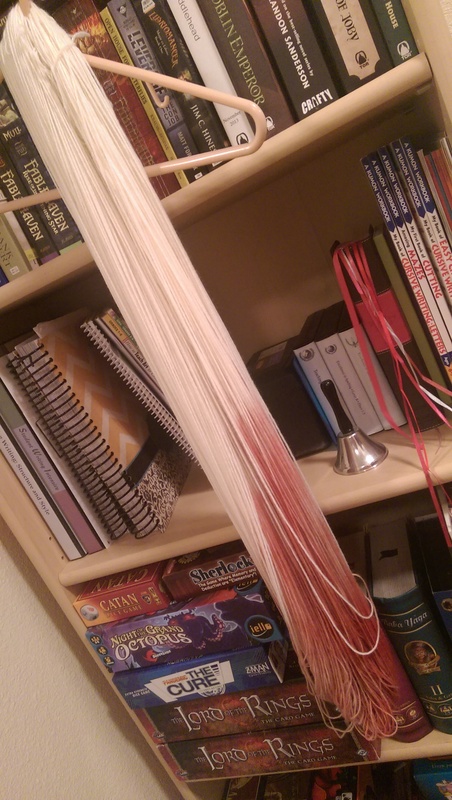 And I have learned my lesson: Use your own ties when dyeing, and use many of them. I don’t think I will ever forget again. 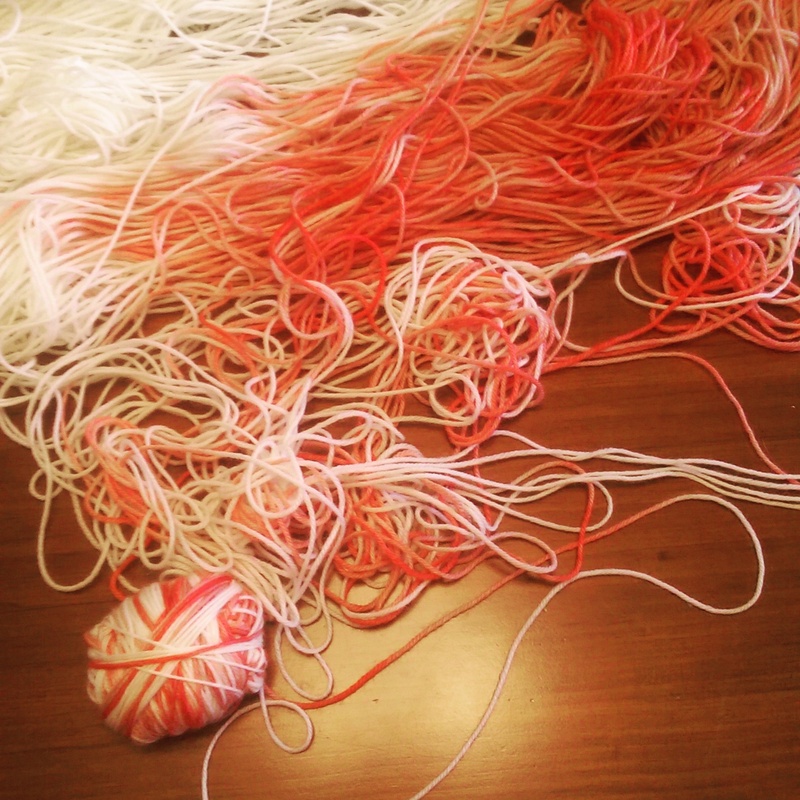 Spinning, Dyeing yarn, Social media and scrapbooking, Yarn Along Inspiration Winners, Sushi Go! Include pictures of people, including yourself, not just what you are looking at. Use the caption as a journal. Think through events you are at – What is important? What do I want to remember? Don’t be afraid to capture all the little moments that make up the majority of our lives. Ginny, the amazing dyer behind FatCatKnits is joining us for a gaming themed Yarn (knit, crochet, spin, weave) Along this summer! 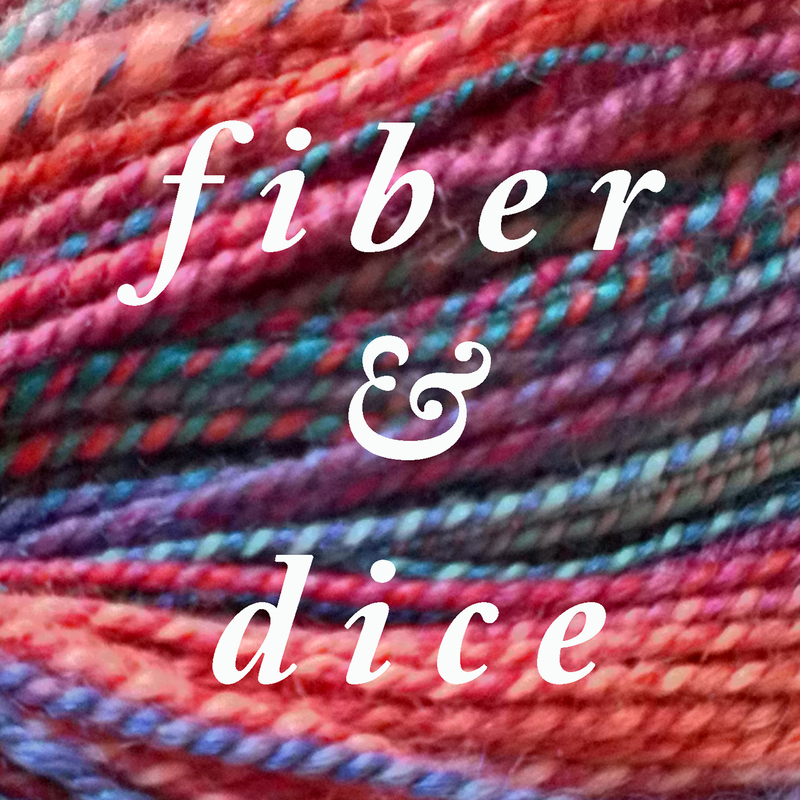 Get all the details in this episode, then jump over to the Fiber & Dice Ravelry Group, join the group, and vote! 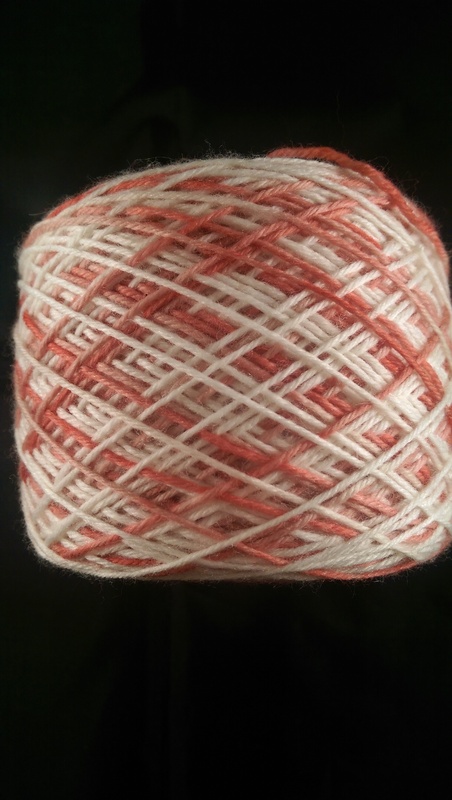 Check out the Voting Poll on Ravelry – join the group, join the yarn along!